In July 3, 2012, the grand opening of its first jewelry-watch Louis Vuitton store was held on the famous Place Vendome (Paris), in the house at number 23. The place of the boutique is not accidental: it is located near Neuve-de-Capusin, 4, on which in 1854 the first store of Louis Vuitton was opened. At that time the company specialized in the production of bags and suitcases. The scope of its activity increased with time due to such directions as ready-to-wear, shoes, watches and jewelry. According to President of Louis Vuitton Yves Carcela, the interest of the House to an accessory is explained by "the needs of customers." These "needs" have become the basis for opening a jewelry-watch store. Next to it are placed the boutiques of such large and influential companies such as Cartier, Tiffany and Van Cleef & Arpels. With the opening of a new store the French fashion house makes a serious bid to compete! In the building of the XVII century under the same roof with a shop is located the jewelry workshop of Louis Vuitton. "We are very pleased that our first jewelry boutique opened this time in Paris at the Place Vendome. With no less pride we present and his first jewelry shop, opened at home fine jewelry. It is fully revealed the talent of our artists that will create real masterpieces of the jeweler, "- says Yves Carcelle, the president of Louis Vuitton. The architect Peter Marino developed the interior of the new boutique. According to his words, "for each ornament stands a story, so the decor should remain in the shadows, so as not to detract from the works of jewelry art. The skin of tobacco color, rosewood panels and carpets of muted tones create a feeling of warmth and tranquility. The apparent simplicity of the decoration is not contrary to the grandeur and "puts a premium on dialogue and dreams of customers." To design did not seem too boring, Peter Marino, added the final touch to the project as a work of contemporary artists Teresita Fernandez, Farhad Moshiri, and Rashi Rani. To mark the opening of a new boutique jewelers of Louis Vuitton have created the third part of the collection «L'Ame du Voyage» called Escale a Paris. In connection with the opening of the store is also created a limited edition version of the Tambour watch and jewelry series Voyage dans le Temps, which appear in the boutique in October. In the shop on the Place Vendome are presented Speedy and Tambour watch collections, as well as limited edition women's watch Vendome, set up in the number of 23 instances, which is the number of the boutique jewelry watch fashion house. Official website of Louis Vuitton watches. A well - known company Louis Vuitton, which for almost 160 years dictates its rules to the fashion industry, at this time has pleased his fans new watch - model Tambour eVolution GMT Chronograph. In Moscow, on the Red Square, the famous company Louis Vuitton has collected a large bag before opening the exhibition dedicated to the famous Parisian fashion brand. The legendary British rock musician David Bowie and the American top model Arizona Muse have become the heroes of the new L'Invitation au Voyage movie of Louis Vuitton. Known company Louis Vuitton has released the first limited edition watch specifically for the Russian market. It should be noted, that 2013 - the year of the brand presence tenth anniversary in Russia. At the international exhibition of watches and jewelry BaselWorld 2013, the known company Louis Vuitton has introduced a new limited edition watch Tambour Twin Chrono, intended primarily for the measurement of time intervals during a match race. Known company Louis Vuitton especially for the charity auction Only Watch 2013, to be held on September 28 this year in Monaco, has launched a unique novelty Tambour Spin Time Regatta, characterized by having a countdown counter. Known company Louis Vuitton at the annual exhibition of watches and jewelry BaselWorld 2013 has unveiled a novelty Tambour eVolution GMT steel, for the producing of which is used an innovative black metal composite MMC (Metal Matrix Composite), which is mainly used in the aerospace industry. 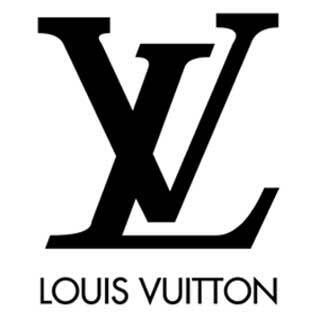 The famous French fashion house Louis Vuitton has unveiled a new spring women's collection Tambour Bijou Secret at the international exhibition Baselworld-2013. Known company Louis Vuitton has announced the release of a new model Tambour LV277 Automatic Chronograph, made of stainless steel. The case diameter is 44 mm, water resistant - 100 meters. The famous fashion house Louis Vuitton introduces a new diver's watch, which is included in the Tambour collection. The model’s characteristic feature is in the form of a drum cases. The fashion house Louis Vuitton has introduced a new line of limited edition watches Louis Vuitton Tambour by Yayoi Kusama, in the design of which is used drawing in a large pea. Large polka dots are a trademark of Japanese artist Yayoi Kusama, in conjunction with whom a novelty is established. The new watch, recently presented by the company Louis Vuitton, is remarkable with a look, reminiscent of aircraft chronographs the middle of last century. At the world exhibition BaselWorld 2012 one of the oldest fashion houses Louis Vuitton has introduced an elegant model Tambour Regatta America's Cup. Tambour Mysterieuse watch by the watch company Louis Vuitton has inspired by the brilliant inventions of the legendary magician of the 19th century, Jean-Eugene Robert-Houdin.